Book a dinner on the Victoria Falls Steam Train and experience true colonial splendour. A dinner on the steam train during your stay at Victoria Falls will transform you to a bygone era of luxury steam train travel. Go back in time and embark on a journey in the comfort of stately carriages. A trip on the steam train during your stay at Victoria Falls will transform you to a bygone era of luxury steam train travel. Go back in time and embark on a journey to the Victoria Falls Bridge in the comfort of stately carriages. The Steam Train departs from The Victoria Falls Station which is situated behind the Victoria Falls Hotel. This is a fitting departure point as the Hotel was built in 1904 to accommodate the workers building the Cape to Cairo Railway Line and the Victoria Falls Bridge. The hotel building itself is actually still owned by the Zimbabwe Railways. This luxurious steam train will travel to the Victoria Falls Bridge and then out to the Jafuta Siding, serving light snacks, followed by a gourmet meal and drinks. The Steam Train has partnered with the iconic Victoria Falls Hotel to provide this unique fine dining, safari experience. The Steam Train offers the discerning guest the ultimate dinner experience, invoking the glorious age of steam and a view of the world-famous Victoria Falls at sunset. Followed by the rarity of a steam train safari through the African bush to Jafuta siding. The experience includes a four course gourmet dinner, prepared by the talented chefs of Victoria Falls Hotel. Drinks are included in the ticket price, with the exception of spirits and champagne. After departure the Steam Train makes its way through the bush and towards the Victoria Falls Bridge. Once on the bridge you will be invited to step off the train and onto the Victoria Falls Bridge. From here you will be able to watch the sun set behind the Victoria falls before you make your way back to the station. *Please note that the Victoria Falls Steam Train only departs on Tuesdays and Fridays. 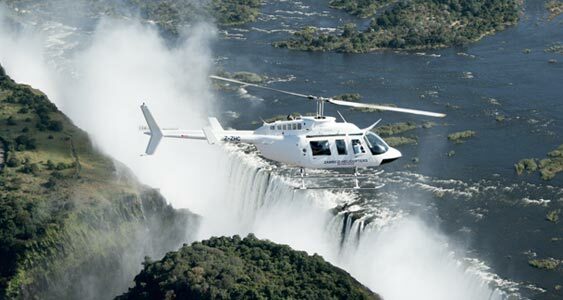 You will be picked up from your hotel and transferred by road to the Victoria Falls Station. A safety brief will be given by the guide en-route to the station. The train will depart Victoria Falls Station and chuff its way through the Victoria Falls Game Park to the border. The train will pause at the border so a ‘general declaración can be given by the train guard to the immigration authorities and then continue to the bridge. The train will arrive on the bridge at about 6pm, depending on the game that has been viewed en route. You may alight from the train once on the bridge for some tremendous photo opportunities of The Victoria Falls, the train, the bridge and the sunset. Permission must be sought from the driver for photographic opportunities of the locomotive. After sunset the train will depart the bridge for its journey back to Victoria Falls Station where it will refill with water before steaming out to Jafuta Siding. The train stops at Jafuata Siding for about an hour before making its return journey to Victoria Falls Station Platform. Loco 512 is a 14a Class built in 1952 by Beyer Peacock in England and was in service from 24th November 1952 to 1994. Carriage No. 14661. This carriage houses the small lounge and bar, as well as the kitchen. This carriage can be used as a pre-dinner drinks venue for about 10 guests. Carriage No. 197. This carriage is the sister to famous Wembley Dining Car. The carriage was built in 1923. This carriage still has the original fans and the 7×4 and 8×2 table configuration. Carriage No. 225. This carriage sits at the back of the train and houses a bar and veranda viewing deck.